The red knot is a medium-sized shorebird which breeds in tundra and the Arctic Cordillera in the far north of Canada, Europe, and Russia. 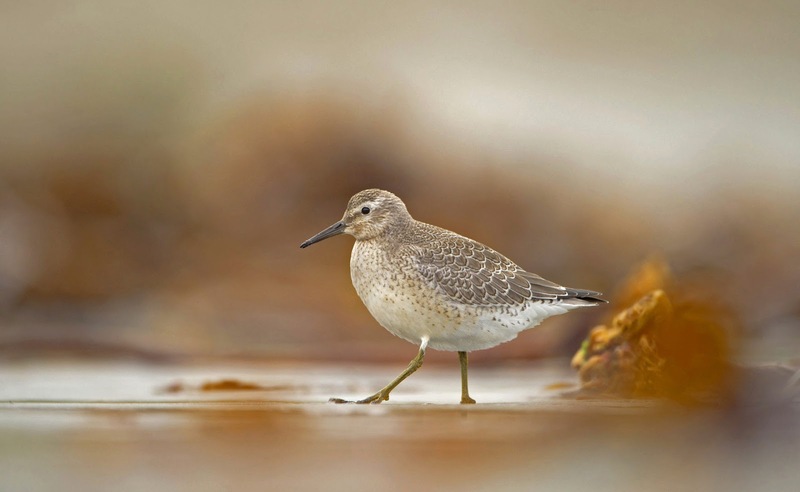 It is a large member of the Calidris sandpipers, second only to the great knot. Six subspecies are recognised. This little bird with its 20-inch wingspan weighs about as much as a stick of butter, but it has the stamina of an Olympian. Each fall, red knots in the Americas are known to fly more than 9,000 miles from the Arctic to South America–and in the spring, they do the journey in reverse, for a round trip of around 20,000 miles. The most famous red knot, known as ‘Moonbird,’ is so named because the total of its known migrations has exceeded the distance to the moon. Moonbird was first banded in Rio Grande, Argentina, in 1995 and has been sighted many times in the years after–amazing scientists and birders alike. Quick fact: Red knots can detect mollusks buried under wet sand from water pressure changes that they sense using organs in their bills.